A report published today in the Nikkei Asian Review has revealed that company president of Toshiba, Hisao Tanaka, plans to tender his resignation from the technology giant. having informed numerous ‘close associates’ of the intention. He is expected to be joined by his predecessor and current vice chair Norio Sasaki, who he displaced in 2013; as well as several other executives, totalling more half the board, as the company aims to clean the slate. Central to the mass departures is a suggestion that the company has engaged in accounting irregularities. Third party regulators have been investigating financial mismanagement covering the tenure of both of the former presidents mentioned earlier; as well as a third former president, Atsutoshi Nishida, presently a consultant for the company. The investigation is expected to report the company’s complicity in padding its profits by fraudulently manipulating accounting records in order to appear to be more closely competing with rival Hitachi. Toshiba has not yet made an official statement on the matter, but is expected to do so when it reveals the results of the investigation and reports its delayed financial earnings statement; during which the executive departures are also expected to be announced. The irregularities, believed to stretch over at least a five-year period, have seen the company pad its operating profits by up to ¥200 billion (around £1.04 billion). Since the investigation was announced in early April, the company’s stock has nose-dived from ¥481.20 to just ¥374.90 today. 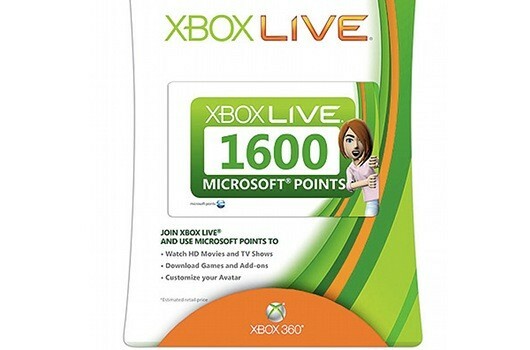 A rumour making the rounds today is Microsoft will phase out its Microsoft Points currency by year's end, in favour of real currency. According to InsideMobileApps, the change will affect Windows Phone, the Zune Marketplace and Xbox Live. The site claims "a source" provided the information and notes that mobile developers with Microsoft publishing agreements are being told to plan their upcoming downloadable content and in-app purchases in accordance with the change. Finally, customers with Microsoft Point balances at the time of conversion will have it switched to the their local currency. Two developers we spoke to who are working on Windows Phone 7 and Xbox Live content told us they hadn't heard anything about such a conversion. However, both noted that sometimes Microsoft doesn't tell them about major changes until it becomes need to know. They also hadn't heard whispers about the conversion until we contacted them. Checking in with Microsoft, a company spokesperson told us: "We do not comment on rumour or speculation." Update: Microsoft Switzerland has reportedly told Gbase.de that the rumour is not true. The Google translation is a bit confusing, but it roughly translates: "We can not confirm these rumours – we are currently satisfied with the current Xbox Live Business model." It's not really a followup to the Neo Geo Pocket, but it is a portable device with a bunch of Neo Geo games on it. 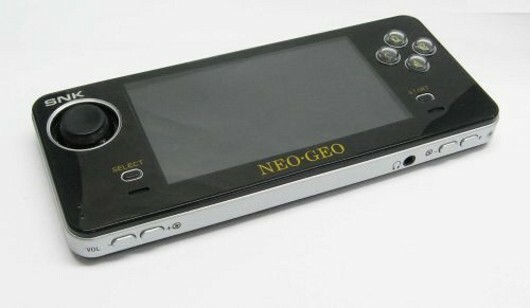 Currently known only as "Neo Geo Portable Device" (not the product's final name), the handheld is a bit bigger than an iPhone and comes packing two gigs of storage, plenty of buttons, a 4.3 inch screen, SD card slot, headphone jack and an A/V out jack, according to Japanese site Famicom Plaza. And, thanks to official SNK licensing, it comes pre-loaded with 20 Neo Geo titles — North American versions, no less — including classics like Metal Slug, Fatal Fury Special, Sengoku, King of the Monsters, Magician Lord and more. Famicom Plaza provided no details as to when or where the device will be released. That's assuming the product is real at all, of course. The select button above is labeled "menu" in a different picture, for example, which seems a bit odd. We've contacted SNK to confirm the device's existence. Subscription-based streaming TV allegedly on they way. According to a new report from Bloomberg today, Microsoft is planning to partner with Comcast and Verizon to offer subscription-based streaming television service on the Xbox 360. Citing sources “with knowledge of the situation,” Bloomberg says that the company is in talks with two dozen networks and media service providers in both the United States and Europe, including HBO, Crackle, Bravo, SyFy, and LoveFilm in the UK. The report falls in line with other recent rumours, as well as Microsoft’s presentation at this year’s E3, where they demoed Kinect-enabled television control. Most importantly, sources suggest the announcement of the new services could arrive as soon as next week. Rumour: Microsoft blurring line between Windows and Xbox for upcoming Windows 8 OS? Comments Off on Rumour: Microsoft blurring line between Windows and Xbox for upcoming Windows 8 OS? New rumours spreading around the Blogosphere today make the tantalising proposition that Microsoft may be considering baking in support for XBox 360 games and services within the upcoming next generation of their market-leading (for better or worse) Operating System, Windows. Numerous explanations have been given as cause of this rumour, but chief among them is a new entry in the error message tables for Windows that was discovered in closed Beta builds of the upcoming system, which stated: “Could not read XBox 360 disk media”. In addition, with Microsoft known to be working on a Software Development Kit for using Kinect on Windows computers; and Microsoft’s own admission that they’d like to see the technology incorporated beyond the XBox, many claim Microsoft may also be planning to bake Kinect support into Windows directly. Microsoft have yet to confirm or deny either rumour, which come from multiple sources, some more trustworthy than others. But knowing a little about Microsoft current conceptualising for the next Windows platform, we can draw some conclusions which give the rumours some support. We already know that Windows 8, as it is being called currently, is taking many design philosophies from Windows Phone 7, including the tiled interface and web widgets. One reason for this, as revealed by Microsoft, is to make the interface more intuitive to touch-screens. Microsoft claim two reasons for taking this measure: Firstly, Microsoft want Windows 8 to support as many different types of input as possible, in order to make for a seamless experience. Could this also include Kinect? Secondly, and perhaps more importantly, Microsoft claim they wish to unify the Windows experience across several devices; and believe it is best achieved by making a single system that can easily be adapted to any device the consumer wants – from traditional computer, to tablet device, to smartphone and possibly even TVs. In this case, Windows 8 can be seen as a replacement for the Windows Phone system as well as the next step for the personal computer system. One of the key selling points in recent launches of Windows Phone has been its tight integration with XBox live services, which range from profile management to actually being able to play certain games through the phone. If Microsoft integrates XBox 360 support directly into Windows 8, then brings Windows 8 into smart phones, the XBox gaming platform may suddenly become bigger, stronger and capable of even more games and features than ever; plus game developers will suddenly find they’d only need to develop for one platform to potentially target several. This could be the killer combination that puts Windows for smart devices firmly on the map. What’s your take on all this? Let us know in the comments. Rumour: Was a test of a new Google Music app leaked to the web? An odd glitch on a Tech Review website’s Android phone appeared to replace the Android Market on their phone with a Test version filled with numerous unseen (and many non-functional) apps; but it is one in particular, which actually DID function, that got their attention – and, when it was posted about on the internet, seemingly everyone else’s, too. Now, there’s a claim that a download for the app has been discovered, and subsequently leaked online, and is now being shared by several websites. License Summary: You are free to copy, distribute and transmit this work under the following conditions: * Attribution — You must attribute the work in the manner specified by the author or licensor (but not in any way that suggests that they endorse you or your use of the work). * Noncommercial — You may not use this work for commercial purposes. * No Derivative Works — You may not alter, transform, or build upon this work. With the understanding that: * Waiver — Any of the above conditions can be waived if you get permission from the copyright holder. * Other Rights — In no way are any of the following rights affected by the license: o Your fair dealing or fair use rights, or other applicable copyright exceptions and limitations; o The author's moral rights; o Rights other persons may have either in the work itself or in how the work is used, such as publicity or privacy rights. * Notice — For any reuse or distribution, you must make clear to others the license terms of this work. The best way to do this is with a link to this web page. Motorola Xoom to make February appearance? Comments Off on Motorola Xoom to make February appearance? The Xoom, Motorola’s first foray into tablet market, will enter the tablet market in the United States on February 17, making its appearance at Best Buy stores, according to a report. The 10.1-inch tablet is expected to be one of the first tablets from a top-tier supplier to give Apple’s iPad a run for its money. The Xoom will come with Google’s Android Honeycomb operating system for tablets, a dual-core processor, a high-resolution (1,280×800) display and dual cameras. In the US, it will supposedly be coupled with the Verizon 3G (and soon-to-come 4G) network. Pricing is reported to be $800 (£500 / €585), though $699 (£436.80 / €512.50) has also been cited as a price (British Pounds and Euro prices are based on exchange rates at time of publication and exclude VAT). The device is also said to have 32GB of onboard flash storage. No information has been shared so far about whether or not the supposed launch date is genuine, or about launches elsewhere in the world. But I am certain we’ll hear more very soon. You are currently browsing the archives for the Tech Rumours category.